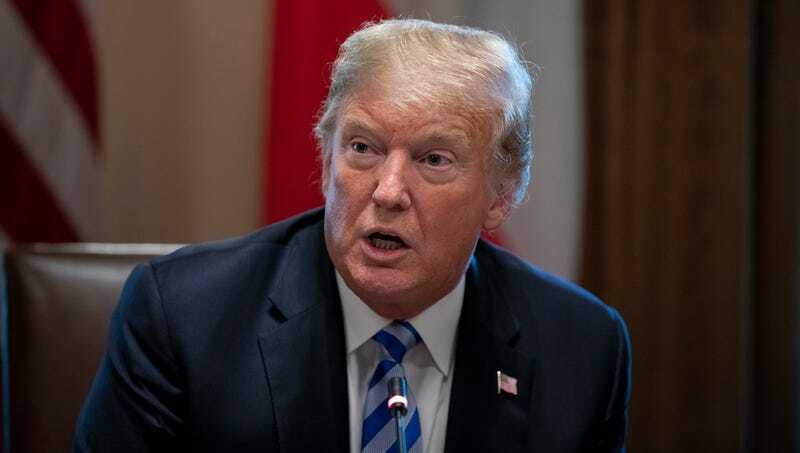 WASHINGTON—In a stark reversal of earlier immigration policy, President Donald Trump announced Tuesday that his administration was increasing the number of asylum seekers allowed to enter the United States’ spike-filled refugee compactor. “We feel strongly that 15 million people fleeing abuses in their own countries can be accommodated by our great nation’s fiery, spike-covered compactor,” said Trump, noting that this number represented the highest cap on asylum seekers since the hydraulically powered displaced-person-reducer was first created in 1980. “We are proud to welcome those without a home into our state-of-the-art refugee pulverizer where they will be greeted by rows and rows of razor-sharp spears lacerating their flesh as the walls slowly close in around them before ultimately being reduced to ashes by 450-degree flames. Every refugee, no matter their circumstances, deserves the chance to be admitted into this harrowing gauntlet of torture and death.” Trump added that emigrants from countries impacted by the travel ban would still be forced to return to their respective home countries’ citizen crushers.